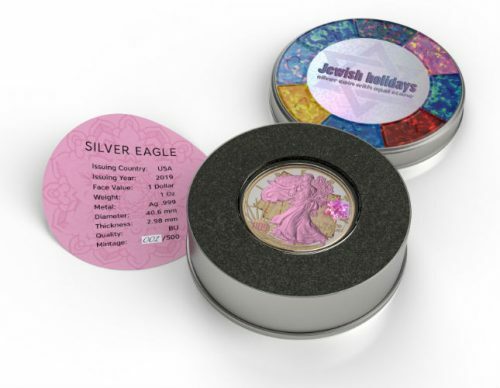 This coin is dedicated to the holiday pf Pesach. The coin shows Matza traditional flat bread. 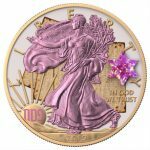 On the sun you will find the word פסח “Pesach” in Hebrew. 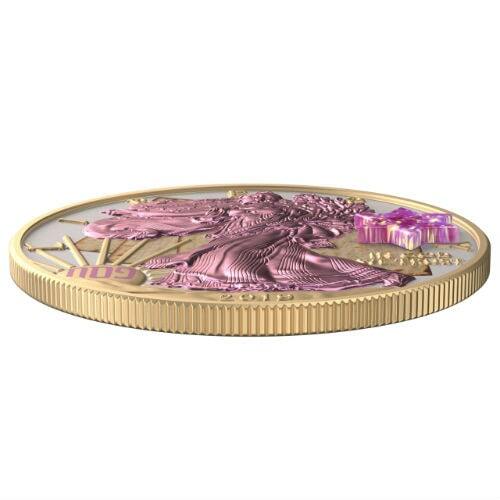 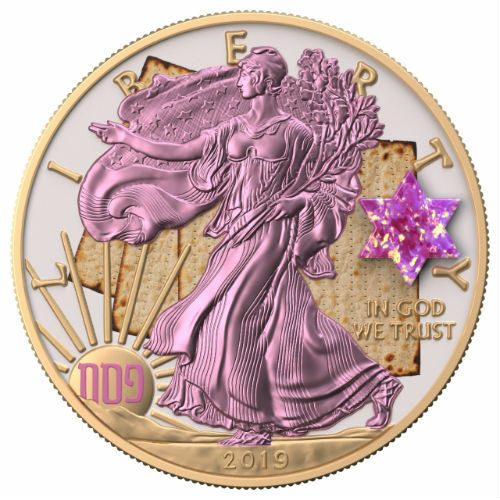 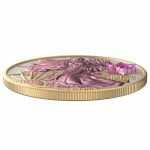 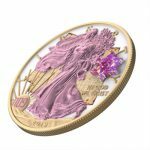 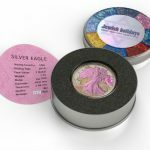 A distinctive feature of the coin is the natural opal crystal of pink violet color having the form of Magen David.